Small business owners know that the holiday shopping season is no time to take it easy. Not only should you process more sales and shipments than at any other point in the year, but you also need to dress up your store to make it more inviting for customers as they pass by on the street. While most businesses do well during this period, all it takes is one day of laziness to fall behind your competitors. But that anxiety is nothing compared to what it’s like waking up a few days before Christmas and realizing that you still have most of your family and friends to buy for. While you probably enjoy working with calm customers rather than those who are panicking that they’re about to ruin Christmas, the last-minute shopping rush is a great opportunity to get into the black before the year ends – and help your customers out of a serious jam while you’re at it. Let’s face it – everyone has been hard-pressed to find a gift for that one person on his or her list who’s impossible to shop for. Instead of settling for something basic, you wait and wait until, all of a sudden, it’s mere days to Christmas and you have no idea what to do. The Naples Daily News explained that this is where you can leverage your sales skills to give frazzled customers a gentle push in the right direction. Separate your products into themes so your patrons can find them more easily. Place “For Him” or “For Her” tags on items you think might be good last-minute presents for couples. 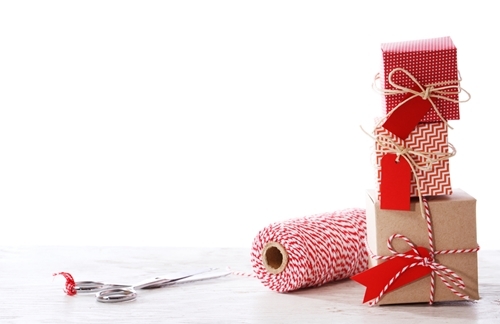 If you have the time, move all of your best-selling items to the front of the store, near the doors and around the registers – this will make it easier for you to direct gift-getters to their perfect present. You won’t be the only small business owner trying to attract your share of procrastinating Christmas shoppers, so you’ll need some way to make your store more enticing than the competition. An easy way to do this is through free promotional giveaways. Most people are just trying to scratch names off their list as soon as possible, so if you put the word out that you’re offering promotional giveaways with any purchase, you’re effectively making your store a one-stop destination for everybody who waited too long to do their shopping. Just make sure you stock giveaways that double as good gifts, like Myron’s Mr. Christmas Porcelain Ornament Set. Each turn of the Advent calendar means shoppers have less and less time to make it to the bottoms of their lists. Online shopping is very popular, but gifts may not be shipped in time if they’re ordered too close to Christmas. This is where owning a physical store comes in handy. If you offer your customers a way to order online but pick up their purchases in your store, they’re saving time, and you’re making money. It may not seem like a big gesture on your part, but customers will appreciate the convenience when time is of the essence. Offering in-store pickup also gives you another opportunity to make a sale in person or add on a promotional giveaway item as a small thank you for shopping at your store. Help your last-minute shoppers this holiday season and maybe they’ll remember your small business the next time they’re in a pinch and need to spend some cash.